Due to unexpected circumstances the National Shooting Championship has had to be cancelled this weekend. An alternative date will be published once a weekend has been identified. 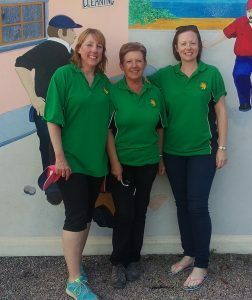 Our lady members of the WPA took on each other at the Monkstone PC to find out who is the top Welsh triple and ultimately be invited to represent Wales at the European Championship later this year. Hopes were high, but one team stood out above all the other teams and had an undefeated record on the day. The winners of this year’s title are Barbara Vaughan, Gemma Foster and Tansy Mayfield, representing Caerleon RFC PC and the Wheatsheaf PC. Tansy Mayfield, Barbara Vaughan and Gemma Foster. The runners-up were Julie Bailey, Gay Evans, Vickie Address and Rose Fiera representing the Monkstone Inn and the Monkstone PCs. This weekend sees the National Triples taking place for both the Men and Women at the Monkstone PC. The entry date has been extended twice for this competition and will close on Thursday at mid-night. The Women’s competition will follow a double Round-Robin format for entries less than 8 teams. Click on the above image to down load a pdf version of the document. Over the weekend of 23rd and 24th April the teams wanting to qualify to represent Wales in this years Home Nations Championship played in ideal conditions. The 9th team failed to qualify for the Championship and the fore the following 8 teams will travel to Scotland to compete over the weekend of 6th and 7th August. Home Nations Qualifier – GP1 and 2. The qualifier to see which teams will repent Wales in the 2016 Home Nations Championship will take place on the 23rd and 24th April at Wenvoe PC and Monkstone PC, respectively. The final date for entries is the 16th April, if Wales does not have a viable squad, Wales will NOT be attending the Championship. The results of the Celtic Challenge Qualifier which took place on Sunday 10th April are detailed below. Congratulations to the top four teams who qualify as Wales A and teams 5 to 8 who qualify as Wales B. A Team Manager will be appointed for each of the squads and they will be made known in due course. The WPA Executive would like to thank all members who took part in the competition. Sport Wales have announced that all future applications will be made via their website. Sport Wales are pleased to say that their new On-line Grants Management System has officially gone live. If you require any further assistance or advice please do not hesitate to contact me. 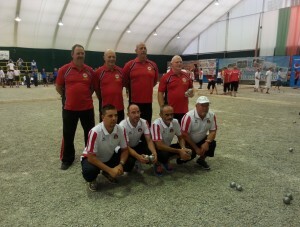 On Tuesday 22nd of September the Men’s National team travelled to Albena Bulgaria to take part in the European Championships organised by the Confederation Européenne de Pétanque (CEP). The team was composed of Ian Bailey, Steve Brace, Peter Westall, Phil Bradshaw and Jean-Yves Robic (Team Manager and Head of Delegation); Julie Bailey and Diane Westall accompanied the team. After a pleasant early morning flight from Luton, the team was met by members of the Bulgarian organising committee at Varna airport and taken to the resort of Albena. The team booked in their rooms and then explored the hotel facilities. Having discovered a number of pétanque pistes in the hotel grounds, and other various places around the resort; the team then started to practice under the sun. Wednesday was another day of practice, with some of the other teams that had also arrived early. Several unsuccessful attempts were made to have a look at the championship playing area. We would have to wait until Thursday when the championship started. Everybody was in good spirits and enjoyed playing pétanque in the warm conditions. Thursday morning was again dedicated to practice, with Peter Westall going through the precision shooting routine while the rest of the team played a couple of friendly games against Lithuania. In the afternoon, there was the first opportunity for everyone to have a practice in the indoor boulodrome. It was quite a surprise to discover a very stony and bouncy piste. View of the indoor playing area. As Head of delegation Jean-Yves attended the CEP congress where the draw for the first round of the shooting and triples championships would be made. Wales was drawn in 13 place for the shooting on the Thursday evening and against Estonia in the first round of the Swiss system on Friday morning. Now it really felt as though the competition had started. In the early evening the team, assembled in the indoor arena and witness some superb shooting by Dylan Rocher of France, with a new European Record and Diego Rizzi of Italy with 63 and 51 points, respectively. Peter Westall’s turn was coming, he was the first of the Home Nations to shoot. After a slow start Peter’s shooting found the target and he finished with the best ever Welsh score of 17 points at a senior championship. At the end of the night his score proved to be the best out of the Home Nations (Jersey 11 points, England 10 points and Scotland 5 points). Unfortunately, this was not enough to make the second round and Peter finished 22nd, missing the cut by two places and only 4 points. Friday morning was the start of the championship. The first game against Estonia saw the Welsh team take an early lead 4-0 but struggled to keep the momentum. Estonia took the lead 4-5 after 5 ends, Wales reacted well and took the lead again, 11-7 after 9 ends. Estonia fought back and with the score at 12-12 Wales held on and secured their first win 13-12, a great start. After an anxious wait for the round 2 draw to be announced, Wales’s next opponent was Belgium. The game started well for Wales, taking the first end 1-0. The next end was a good battle, where Peter responded to a Belgium spot carreau by another spot carreau of his own, game on! Wales stayed in the game and after the 4th end the score was only 3-1 to Belgium. Inevitably, Belgium slowly stared to build a good lead helped by some near perfect shooting by their young shooter Baton Logan (who will lose the shooting final against Rizzi) and some masterly pointing by Claudy Wiebel. The final score after more than an hour’s play was 13-2 to Belgium. Friday afternoon (Round 3), Wales was drawn against Austria. Austria took the lead and never looked back at a struggling Welsh team, that seem to have lost their way, and despite changing the order of play and a replacement, Wales were severely beaten 13-1. Round 4, the last game of the day against Denmark was no easier. Denmark took a quick lead and the scoreboards showed 6-0 after 3 ends. After a Welsh substitution the team appeared to have regained the initiative and won the next two ends trailing 3-6. A Danish substitution saw them re-take the lead and build up a 10-3 advantage, again the Welsh team fought back to 6-10 after 9 ends. Denmark, after some very good shooting finally won the game 13-6. Dejection in the Welsh camp, together with the added pressure of having to secure a win in the last round on the Saturday morning to avoid an elimination barrage. The other Home Nations were not in a better position, Jersey, Scotland, and England only managing to secure one win each. Saturday morning (Round 5 of the Swiss system) was a must win game for Wales to ensure a place in the pool stage of the B championship. Wales was drawn against Andorra. After a nervous start, Wales came back to 3-4 in the 4th end and assured their lead by scoring 5 points from the next end and won the games 13-7, despite a good come back from Andorra. With 2 wins, 3 losses after the five round of the Swiss system, Wales was ranked 22nd and would join Turkey (19th), Lithuania (27th) and Jersey (30th) in the pool stage. 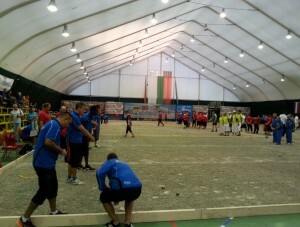 The first round of the pool B was against Lithuania. A good start from Wales gave them a 3-1 lead after 3 ends, but Lithuania took the following 6 ends and won 13-3. Wales would then play the looser of the other game between Jersey and Turkey; after a surprising win by Jersey it was to be Turkey. Wales took an early 5-0 lead after two ends, but could not hold on to the lead against a good Turkish team who would go on to play the semi-final of the B championship. 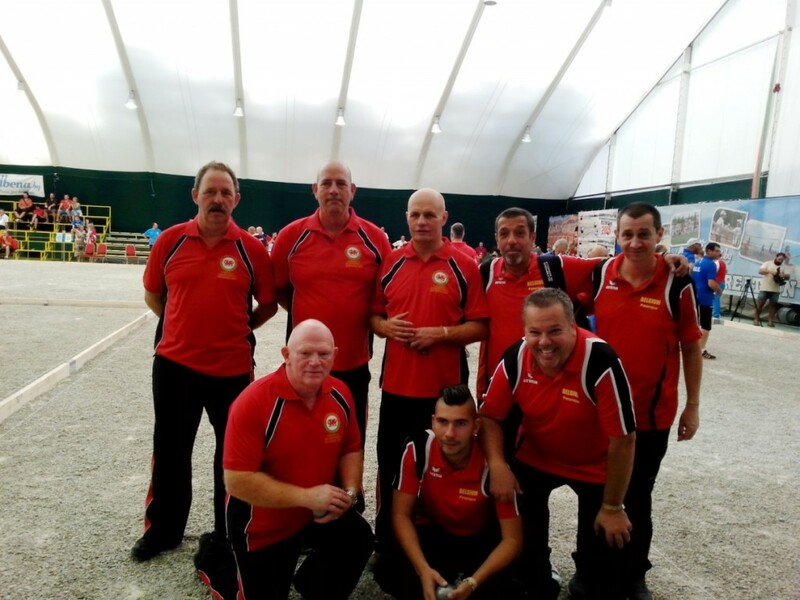 Turkey won 13-6 and ended the Welsh dream of qualifying for the 2016 World Championship. Wales finished in 30th place behind Scotland (21st), England (24th) and Jersey (28th). Sunday, saw everybody back at the arena for the finals of the Precision Shooting Championship and the European Championship. The Precision Shooting final was very close with both competitors on 44 points after the five disciplines. 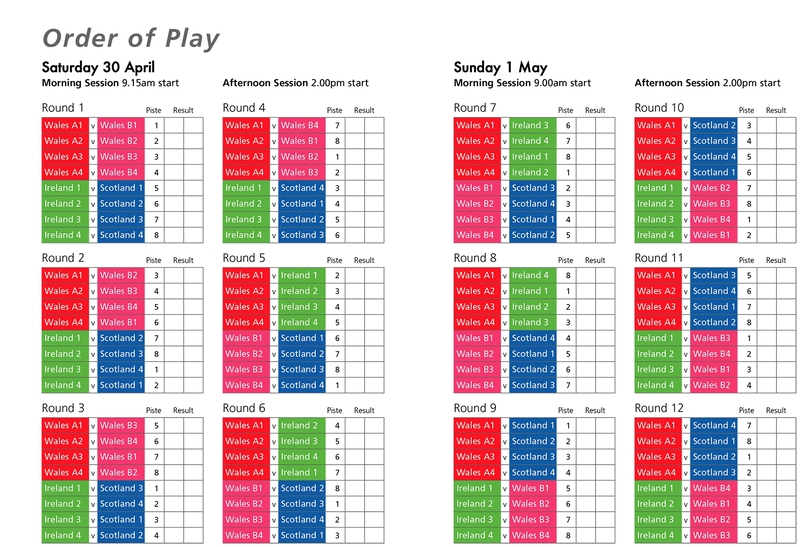 This meant that there was a play-off where each competitor undertook each discipline again, but only from 7m, the winner would take the glory. I the 4th discipline Diego Rizzi scored 3 points which meant his opponent Baton Logan (Belgium) could not win. Diego Rizzi became the 2015 European Champion for Precision Shooting. France was the winner against a very good Swiss team and became the 2015 European Champions. A mention must be made of Wales’s part in the shooting championship, Tony Smith on duty with the CEP acted as scorer for both the semi-final and final of the competition, as well as being heavily involved in the running of the championships. Presentation of the European Federations to the VIPs. 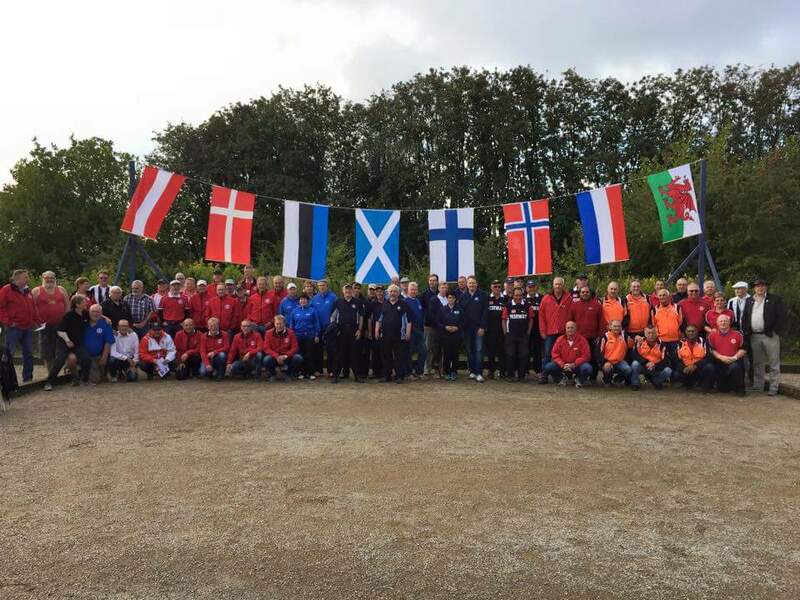 Two qualifying teams from the 2015 Veterans National Championship travelled to Copenhagen to take part in the 8 Nations Veterans invitation tournament over the weekend of 5th/6th September. 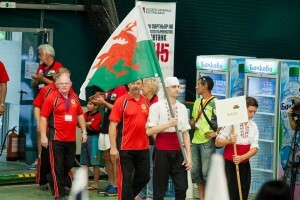 The two teams representing Wales were the 2015 National Champions, Barbara Vaughan, Jake Caston and Kon Tomczyk. Team B comprised Ray Hayes, Tony Smith and Peter Westall. At the end of the first day the two Welsh teams had scored the following Team A – 4 points, Team B – 8 points, a total of 12 points, equal with Norway. Day 2: Group A – Finland, Holland, Denmark A and Denmark B. Group B – Norway, Wales, Austria/Estonia and Scotland. At the end of the second day the two Welsh teams had scored the following Team A – 6 points, Team B – 7 points, a total of 13 points, giving an overall total of 25 points, winning the Group B competition. The overall winners were Finland with 40 points, Holland were second with 34 points and Denmark in third and fourth positions. The full results can be downloaded from the Danish Federations website by following this link. Our thanks got to the Organisers of the competition and especially to the members of Hvidovre Petanque Club who made our stay so enjoyable.